If you wish to speak to a member of the team please call us directly using the information below. Got any question's - Ask Amanda. Introducing Jamie, who’s official title is ‘Wedding & Events Manager’ but he is so much more than this and has been Amanda’s right arm man for over 20 years. An integral part of The Brookfield Hotel, Jamie is a Wedding & Events guru with a natural flair and ability in facilitating and delivering the most memorable occasions for all our guests. Jamie and his partner held their own civil partnership here at the Hotel back in 2009 and this was also televised on TV ‘s first series of ‘Four Weddings’. When not in the Hotel Jamie can be found spending time with his young shih-tzus, Wilber & Barney, before relaxing with Stephen over some good Italian food, washed down with a Baileys whilst watching Dirty Dancing! Keith has also been at the Brookfield for many, many years and is our Restaurant Manager and Sommelier. He is passionate about food and wine and excels in helping guests select the perfect wine to accompany their meal. Keith’s wife Nathalie also works at the Hotel and they make a dynamic team (In fact they met here at the Hotel) – and although Keith was a very cute child, Nathalie is far more easy on the eye! Keith, probably to be expected, favours the highest quality red meat and in particular Venison and is partial to Sicilian red wine……so it’s no surprise that his favourite film is Goodfellas! Keith enjoys spending time with his 2 children and would love to have more time on the Golf Course – but we’re not sure if that’s crazy-golf or the real McCoy! Continuing the ‘celebrity’ links of Amanda & Jamie, Keith once met David Bowie whilst working and ended up going out for lunch with him – we wonder who chose the wine!!?? Tracy is covering our Reception Manager Julie’s maternity leave and luckily has also changed somewhat from her photo. With a travel and hospitality industry background, Tracy looks after our front of house operations including reception and reservations and is most often sat in the back office on her laptop or on the phone taking care of the behind the scenes daily business The ‘newbie’ to the team, Tracy also has a great sense of humour and is an absolute ‘Brookfield’ fan after working with larger chain and branded hotels. There is always strong black coffee and chocolate within easy reach of her desk. We would love to include the whole team on this page but as this is not possible, do come back to this page from time to time as we will introduce you to other members of our team periodically. Amanda and her team look forward to welcoming you to The Brookfield Hotel soon! Our room was spacious and a larger than average bathroom. It looked like it had been done up recently so no complaints there. And toiletries available and nice fluffy towels. And plenty of milk for making tea and coffee. What more could you ask for? A friendly family run hotel in a quiet location down the road from the main village centre - beautiful harbour and area. We had such a comfortable room too - we will certainly be returning. I ended up arriving extremely late as my flight was delayed. The staff were extremely accommodating. The hotel was very comfortable and clean. Breakfast was lovely. I will definitely be returning on my next work trip. We enjoyed our time at the Brookfield Hotel. The room was spacious, clean and comfortable with a lovely view of trees and gardens. The staff were friendly but not overly. It was convenient for visiting our friends in the village of Emsworth and links to Portsmouth and other south coast towns. Dear Amanda, Once again we must thank you for all the arrangements you made for us, and the efficiency of all the waiting staff under the direction of Andy. Special thanks must go to the Chef who supplied us with such a wonderful meal; he must be complemented. All attending enjoyed the evening and would like us to pass on to you their thanks and also their complements to the chef. We hope we will be back with you again next year, but as you well know now we are run by committee so cannot say for definite. But are sure that from Saturday’s reaction we will be. Personally, we can't see The Brookfield being bettered and once again thank you very much. With our best wishes Betty and Harley. Dear Jamie, Wow, what a weekend – and largely down to you and your excellent team. I know that Bill and Val were delighted with every aspect of the weekend and we received many complimentary remarks about the hotel, its food and its staff. I am sure that your feedback questionnaires will reinforce that. As you know we selected the Brookfield based on recommendation and whilst it’s one thing to achieve high standards it’s quite another to sustain them. The best thing is that it all reflected well on me as Festival Secretary without having to do a great deal! So please accept our sincere thanks to you personally for all your guidance and assistance in the planning and delivery of the weekend and also to Tracy and your entire staff who seem to be able to pull together so effectively to make these events such a success. I am sure we will be returning sooner or later. With all best wishes, Pete. Hi Jamie, I just wanted to write a note to thank you for making Hayley and Jon's wedding such a brilliant day. Your calm professional manner put my mind at ease right from the beginning - I knew that if there was a crisis I was confident that you would be able sort it (thankfully there wasn't!). Our other daughter got married elsewhere locally and you were ten times better than the organiser we had there....! I'd also like you to pass on our thanks to all of the staff who were all lovely, polite and professional - we have since had lots of comments about how good the staff were from some of our guests. I also think the chef and all the kitchen staff deserve a special thank you as the food was excellent, and it was no mean feat cooking such a wonderful meal on such a hot day - we were all melting, so dread to think what it must have been like for them.......! The whole day was lovely and everyone was impressed with the whole thing, the venue itself, the garden, the food and of course the staff. Thanks again Jamie. Just a short note to thank you and the staff making us welcome. Food was excellent and everyone was very friendly and helpful, especially during our minor crisis. My mother was fine the next morning, if a little weak and is back to normal now. We had another really good evening. Once again thanks for yours and the teams help in making for a very pleasant experience. Hi Jamie, I just wanted to say how much we enjoyed ourselves at the Brookfield last Saturday. Everyone in the party had a good time and the food was delicious. I would particularly like to mention Luke who looked after us so well throughout the evening and who made us feel very welcome from the outset. Please would you convey our thanks to the catering and waiting staff involved. We are looking forward to our anniversary dinner on 16th May but can't believe where the time has gone since our wedding! Hi Jamie, Thanks to you and your team for making my retirement party such a success. It really was a special night and we could not have been looked after better. All the best to all. Jamie, Just a quick note to say thank you to you and the rest of the hotel staff for making Amanda and I's ladies festival weekend such a perfect event. All our guests have commented on the standard of the accommodation, the delicious food and also on the level of service your staff provided. They really were a credit to the hotel in their manners and treatment of our guests and you should be very proud. Thanks also to Andy for assisting us on both evenings. We will definitely recommend your hotel for future masonic events. Kindest Regards. Hi Jamie, Just a quick note to thank you and all the staff for all your help in making our weekend such a success last weekend - the feedback we have had has been 100% positive, and people have particularly mentioned your venue and staff. As you know, this is our third visit and we are quite sure of returning again after our recent experience. Please relay my thanks to all the staff who helped, particular mention in despatches for Matt, Andy and Luke who are always so helpful and the girls who waited on us in the dining room with the impeccable and unflappable manner in which they put up with our banter and ribaldry! Hi Jamie, We just wanted to thank you, Amanda and the rest of the team for a great day on Friday. Everybody had a lovely time and we were so pleased with how things went. The room looked amazing both for the ceremony and the tea and it was lovely to be so relaxed into the evening. We could not find any fault with the hotel and grounds were home from home. The staff were what made the stay the most enjoyable. They gave the impression they were a “Happy Family” rather than work colleagues. Excellent!! The staff from reception, management and restaurant/bar were exceptional with their professionalism in their work and extremely friendly and polite, nothing was too much trouble. The Charm. The Kindness. The Help. After six years of coming to this hotel I still find the same respect and warmth. All of the staff here are fabulous. We will be back. Please let us know when the next offer is on. Everyone we invited to our Golden Anniversary really enjoyed themselves and said how good the lunch was and how very attentive off of your staff were to them. Thank you once again for another great weekend in Emsworth. All the staff were helpful, prompt and courteous, also very friendly which makes it a pleasure to stay there. Once again – we’ll be back! Everything ran smoothly – the food was excellent – service spot on and staff wonderful. We’ll definitely be back! We booked knowing nothing after our usual hotel was full. Really pleased we have found you and will definitely come again! Will recommend you to friends and family. On behalf of my family and friends, I would like to say a huge thank you to you and all your staff for making my mother’s 80th birthday afternoon tea such a special occasion. Everyone was so helpful and the tea was superb. Great to be welcomed with a pot of tea and scones. 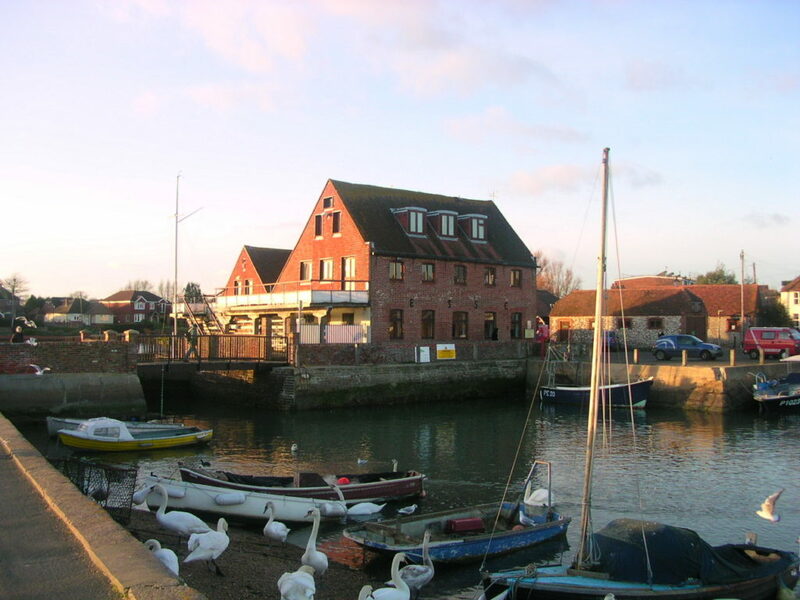 Emsworth, a fascinating old fishing village, is ideally situated and within easy travelling distance from Portsmouth, Chichester, Havant and surrounding areas of Hampshire & West Sussex. All bedrooms are comfortably furnished, so whether you are on business looking for that competitive price, or whether you are looking for a relaxing weekend break, we are sure we are your ideal destination. From the M27(A27) motorway in the direction of Chichester (Eastbound). The Emsworth exit is very shortly after the Havant exit. If you miss it the next exit is Chichester 9 miles on. From the motorway follow the signs for Emsworth (A259). The hotel is about half a mile on the left hand side just before the petrol filling station. An alternative route is down the A3(M). Take the B2149 turnoff, follow the road until you get to a mini roundabout at Rowlands Castle. Take the second exit (forking left) down Whichers Gate Road (B2149). Following this road will eventually lead into Emsworth via going under the railway bridge and down North Street. You then get to another roundabout, take the right turn (A259) and the hotel is about one and a quarter miles on the right hand side past the petrol filling station. From Chichester take the A27 going towards Portsmouth coming off at the Emsworth exit, follow the signs to Emsworth (A259). The hotel is about half a mile on the left hand side, just before the petrol filling station. We aim to cater for the needs of all our guests in our family owned, 42 en-suite bedroom hotel, with restaurant and bar.